A Central Florida doctor, who has been disciplined in the past for performing illegal abortions, is back in trouble again. The Florida Board of Medicine has suspended Dr. James Pendergraft’s license for the fourth time. 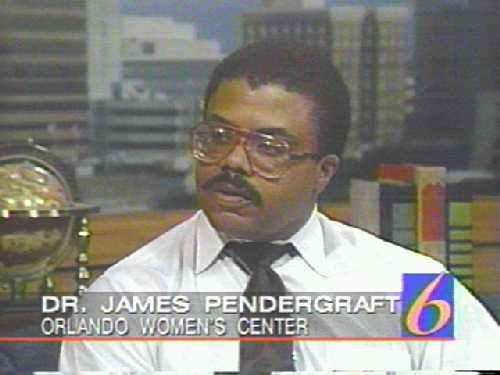 Pendergraft has certainly had a tumultuous medical career. According to documents from the Department of Health, his license has been suspended for doing illegal third trimester abortions, distributing drugs without a license, and in 2004, the doctor ran into legal troubles. He was caught up in what prosecutors alleged was extortion in Marion County surrounding his abortion clinic there. He pleaded guilty to impeding justice. “I think it’s a wake-up call for us all when we have an individual who is allowed to practice medicine in a way that draws question as to both his credibility and capability,” said Aaron Liberman, the chairman of the Department of Health Management and Informatics at the University of Central Florida. The doctor’s troubles don’t end there. Pendergraft was again before the Board of Medicine Saturday. Board members voted to suspend his license again for one year. This time he was accused in incidents related to a troubled 31-year-old employee. The Department of Health said Pendergraft’s numerous suspensions will run concurrent to each other, and once they’re finished, he’ll be free to practice in the state of Florida again. Liberman finds Pendergraft’s lenient punishment wrong. “Unfortunately, in the state of Florida over the past many years, we have not seen the enforcement and the rigor (in) some other states like Iowa, Indiana, (and) Minnesota,” Liberman said. He said if Pendergraft was in those states, it’s unlikely he would be eligible to get his license back. News 13 made several calls to Pendergraft at his clinics in Orlando and Ocala and to his lawyer’s office. He did not respond to any of our messages. In addition to the one year suspension, Pendergraft was fined $10,000, given three years probation and will have to attend a course on record keeping. Orlando, FL – Abortionist James Pendergraft has had his medical license suspended for a fourth by the Florida Board of Medicine, which made the decision on Saturday. Pendergraft’s license was suspended for one year, to be followed by three years of probation. He was ordered to pay $10,000 fine and take a course on record keeping. The suspension order was given after the Board found that Pendergraft had allowed an unlicensed employee to order and administer drugs even though she was unqualified and had a known history of drug abuse. Pendergraft also was disciplined for prescribing steroids to her for unknown reasons. Pendergraft faced previous suspensions, one as recently as January, 2010, for botched abortions, committing illegal late-term abortions, and dispensing drugs without a license. In 2004, he pled guilty to impeding justice while under investigation for extortion. The Board ruled on Saturday that Pendergraft’s two active suspensions would run concurrently. Aaron Liberman, the chairman of the Department of Health Management and Informatics at the University of Central Florida, objected to the leniency shown by the Board. “I think it’s a wake-up call for us all when we have an individual who is allowed to practice medicine in a way that draws question as to both his credibility and capability,” he said. Pendergraft owns five abortion clinics in Florida. While on suspension, his clinics continue to operate with other abortionists, at least one of which has had his own problems with the law. Abortionist Randall Whitney has had his license suspended twice and place on probation for violations according to the Florida Health Department. This entry was posted on August 12, 2010 at 9:32 pm and is filed under Abortion, abortion clinic safety, Abortion Clinic Worders, Abortion complication, Abortion Regulation, Abortionist, Pendergraft, pro-choice, Pro-choice law breakers with tags Abortion clinic, Botched abortion, drugs, Extortion, Florida, illegal third trimester abortions, James Pendergraft, license, Medical Board, Operation Rescue, Orlando Women's Center, suspended. You can follow any responses to this entry through the RSS 2.0 feed. You can leave a response, or trackback from your own site. Ghoul Pendergraft has secret clinic in DC under the name Roy Pendergraft. His name is not listed on the DC Gov’t license website. Lock him up and throw away the key!